Quantum thermodynamics - following an open-quantum-system approach, with an emphasis on quantum harmonic oscillators cooling cycles, the third law, and shortcuts to adiabacity. BSc in Physics and Philosophy (2000) at the Hebrew University (HUJI). MSc in Physics (2004) at HUJI. Thesis title: "The Quantum Harmonic Oscillator as a Thermodynamic Engine". Supervised by professor Ronnie Kosloff. PhD in Physics (2012) at HUJI. Thesis title: "Heat Machines and Open Quantum Systems: Towards the Third Law". Supervised by professor Ronnie Kosloff. 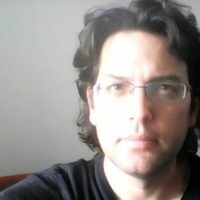 Since 2014, researcher at the Technion within the Quantum Information Processing group of the Computer Science Faculty. Since 2016, teacher at Tel Hai Academic College, teaching Physics and Physics Laboratory undergraduate courses. Since 2016, teacher a Ohalo College, teaching physics and mathematics undergraduate courses. My main area of research is in quantum thermodynamics. I am interested in how the laws of thermodynamics emerge from quantum theory, and in particular in whether quantum mechanics imposes further restrictions on cooling beyond the classical third law. I have explored so-called shortcuts-to-adiabacity, which allow extra-fast cooling of small quantum systems, as they apply in quantum harmonic oscillators. I am also interested in the philosophical aspects of physics and science, and am beginning a research programme in physical theories of consciousness. Physics Lab: The "Physics Lab 1" and "Physics Lab 2" courses accompany the Physics 1 & 2 courses at Tel Hai Academic College. They are intended for first-year undergraduates, and designed to teach and ingrain principles of scientific and laboratory thinking such as the interpretation of experimental errors and scatter plots, as well as to furnish real-world experience with basic physics phenomena and laws. Physics 2: This second-semester physics course is designed to teach the physics Tel Hai's undergraduates will need to succeed in their studies and future work. We cover topics such as hydrodynamics, electricity & magnetism, and modern physics, with an emphasis on their application in the life, food, and environmental sciences. Kosloff, Ronnie, and Yair Rezek. "The quantum harmonic Otto cycle", Entropy 19 (4): 136 (2017).